Voc. / I.T.I. to Dip.E.C.E. 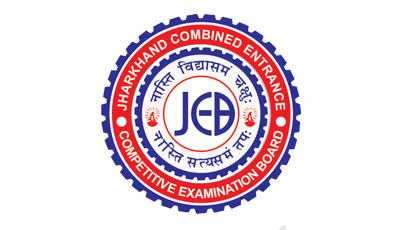 Jharkhand Combined Entrance Competitive Examination Board was constituted under Section 85 of Bihar Re-Constituted Act, 2000 by the Govt. vide Memo No. 374 dated 29.03.2001. The Government of Jharkhand has assigned the responsibility of conducting entrance tests for admission into various Institutions in the state. J.C.E.C.E.B. presently organizes the following entrance tests annually (depends upon the approval granted by the respective Departments of Govt. of Jharkhand for the respective session. Important Information RegardingFirst Round of Counselling on 04.04.2019 the basis of State Merit List of PG Medical–2019/ PG MDS– 2019 for State Quotaseats. Disclaimer : The website of J.C.E.C.E.B. is being provided only for disseminating the information. J.C.E.C.E.B. is not responsible for any inadvertent error that may have crept in the information / results being published on the Net. The information / data / results being published on the Net are for immediate information to the candidate. Information published from this website cannot be used for establishing legal agreement.